In 1977 Bill Longley bought Penderleath Pottery from Anthony Richards and renamed it Cripplesease Pottery. Bill developed the business very successfully and sold it in 1981 when he and his wife Sue moved to Australia. The black and white picture above shows in the lower left hand corner the sign which read 'Cripplesease Pottery Nancledra Cornwal'. The bottom line has the slogan 'Where nice things made of clay don't cost the earth'. 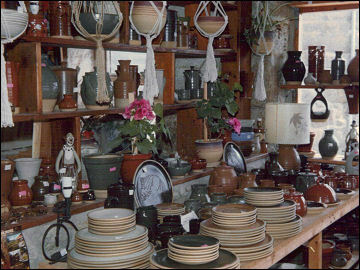 Bill made a wide range of stoneware domestic items as shown in the colour picture below. 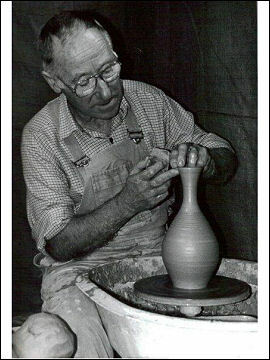 Bill's career started in 1948 with a five year apprentiship at Kingwood Rural Industries in Surrey (in 1956 this became Grayshott Pottery). He then enlisted in the Royal Air Force in 1954, retiring in 1975 and taking a teacher training course at London University until 1977. During this period he also did some potting to refresh his skills. 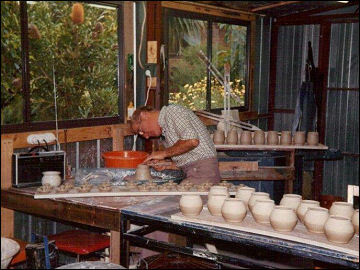 In 1981 Bill emigrated to Australia and set up a studio in Melbourne selling direct to the public at weekend open-air markets. At this time he also helped in the development of Robert Gordon Pottery as an advisor and contract production thrower during its early stages. It is now fully mechanized and is one of Australia's largest pottery businesses. Subsequently he retired to Daylesford where he helps out regularly as a volunteer mentor and craft instructor. 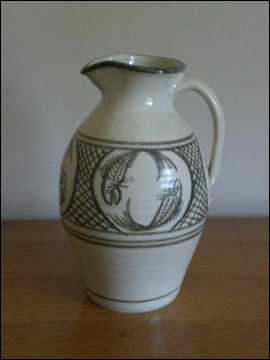 Later owners of Cripplesease Pottery included Bill Moran who employed Anthony Richards and later Arthur Walford to make pots. 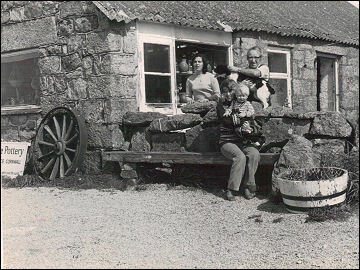 But the pottery was not successful again until Jamie and Dodie Herschel took over in 1984. Barium feldspar glazed with an over glaze decoration of Iron oxide, reduction fired at 1300C. Bill Longley's studio in Melbourne.